Shame the reviews are so out of date. Have visited several times recently and there has always been an excellent pint of Harveys Best Bitter available. Very polite and efficient service. Nice to be acknowledged when you walk in. 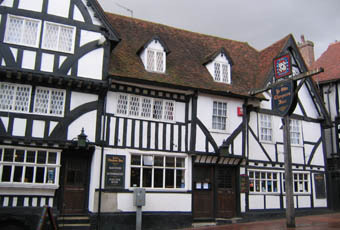 Probably one of the nicer pubs in Tonbridge Town Centre, but that isn't really saying much! Very nice building and the interior is pleasantly traditional. Let down by having only London Pride on which was awful. For a town pub its got a nice feel about it Ive been in a few times on Saturday afternoon its certainly one of the better pubs in tonbridge. The only thing not so great was the toilets are a little wiffy and could do with a deep clean. Nice enough pub and better than anything between in and the station if you ask me. Friendly staff and decent beer.